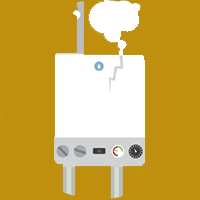 Your gas boiler needs regular servicing to keep running smoothly and avoid breakdowns. The gas boiler service does not include any additional labour and any parts that may be required to repair the gas boiler. If a part and additional labour is required to repair the gas boiler, this will be quoted for separately.